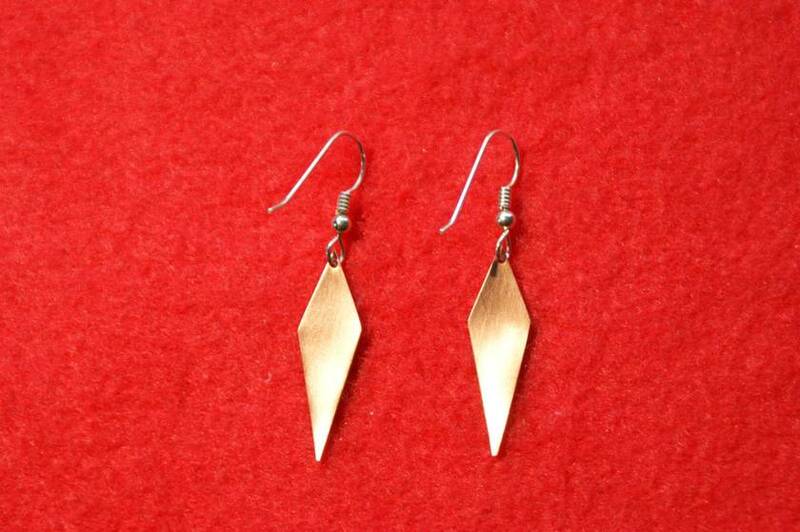 Copper earrings, simple design, made from recycled copper sheet. Copper lacquered to prevent oxidation. Finished with sterling silver hooks.